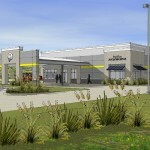 SLA designed a new 10,600 sq. 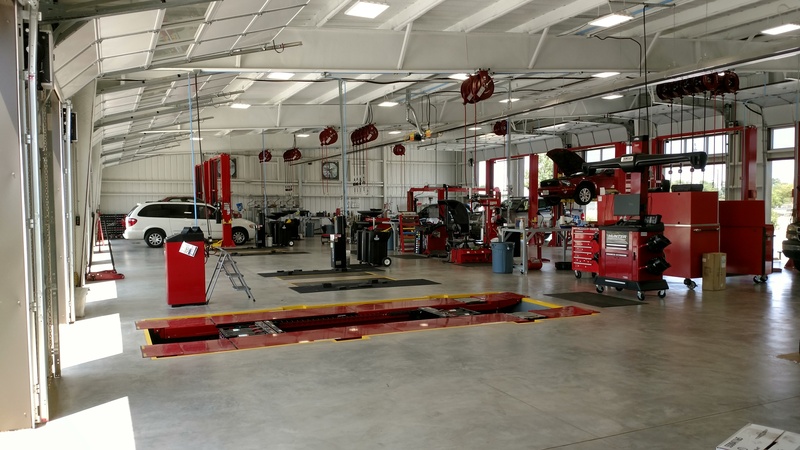 ft. vehicle maintenance facility for light duty vehicle maintenance and repair. 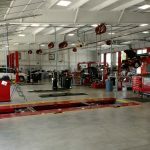 The facility has 14 repair bays that allow for vehicle inspections, tire alignment, general maintenance and oil changes. 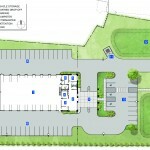 Administrative space is located at the front of the building where customers will drop their vehicle off under a covered drive and wait inside the main lobby while employees take their vehicle to the shop bays. The administrative space consist of lobby and waiting area with retail space, reception counter, public restrooms, office space, storage and janitor space. An employee break room and restrooms are located off of shop area. There is a storage and mechanical mezzanine located above a portion of the administrative area. The site includes vehicle storage area located behind a chain link security fence, customer parking area, landscaping and detention areas. 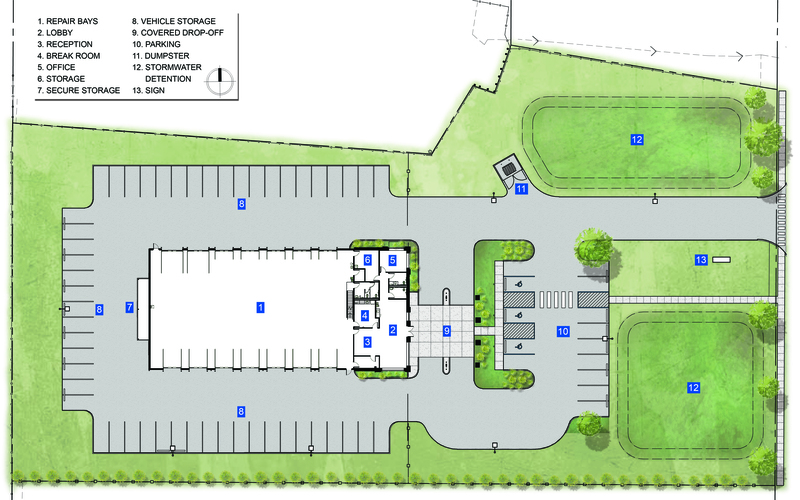 Parking areas are concrete throughout the site and lit with energy efficient LED fixtures.